He was a singer, dancer, actor, producer, writer, director, choreographer…a septuple threat! I danced, sang and acted all through school and in 1998, I got my first professional performing job singing, dancing and acting in a musical revue. Since then I’ve dreamed of creating a similar show featuring songs from my favorite classic musicals and of being Gene Kelly. My new show is the product of both dreams. 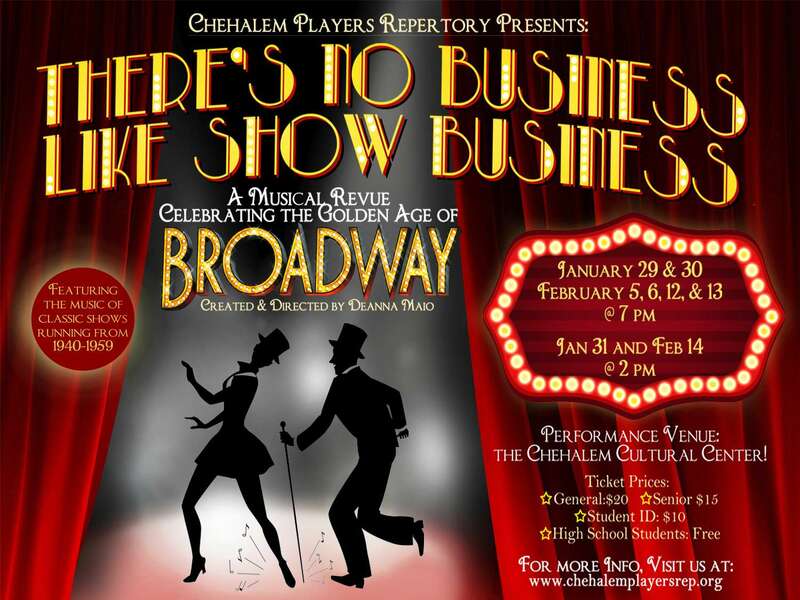 As the creator, director, and a featured performer, I’m proud to annouce the debut “There’s No Business Like Show Business” opening January 29th at the Chehalem Cultural Center in Newberg Oregon. There’s No Business Like Show Business is a new musical revue celebrating the great Broadway Musicals of the 1940s and 1950s. With songs from West Side Story, Carousel, Kiss Me Kate, Annie Get Your Gun, Guys and Dolls, The King and I, The Music Man, The Sound of Music, South Pacific, My Fair Lady, and more you’ll be sure to be tapping your toes and humming along in just minutes. Family friendly and perfect for groups, “There’s No Business Like Show Business” is a fun and lively tribute to the shows that have shaped our culture and the Great American Songbook. I hope you’ll come, share this with your friends and help me in celebrating these amazing shows and songs.